A visit to the Temppeliaukio Kirkko (Rock Church) in Helsinki’s Töölö neighborhood provided the inspiration for this chair. 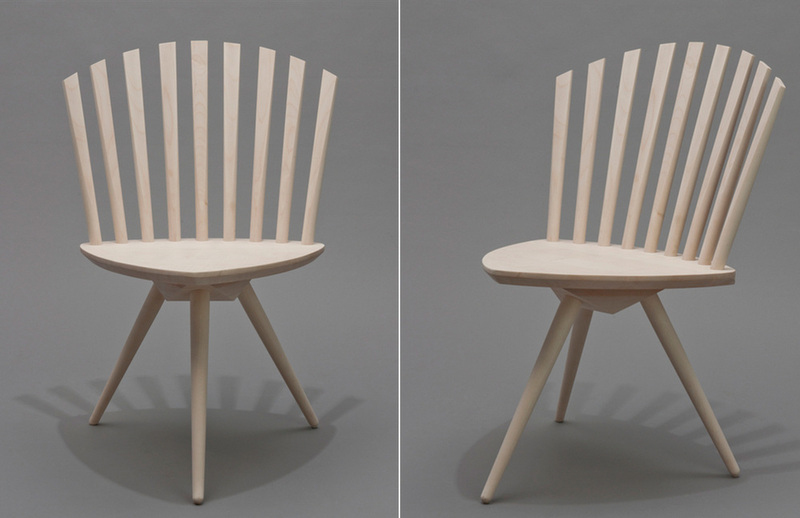 Designed and constructed at The Royal Danish Academy of Fine Arts, its Danish maple was hand-cut with a Japanese pull saw and then hand-planed. The backrest was then married to the seat with a series of crafted walnut wedges, providing both a highly functional and beautiful detail only fully appreciated when considering the piece from beneath.